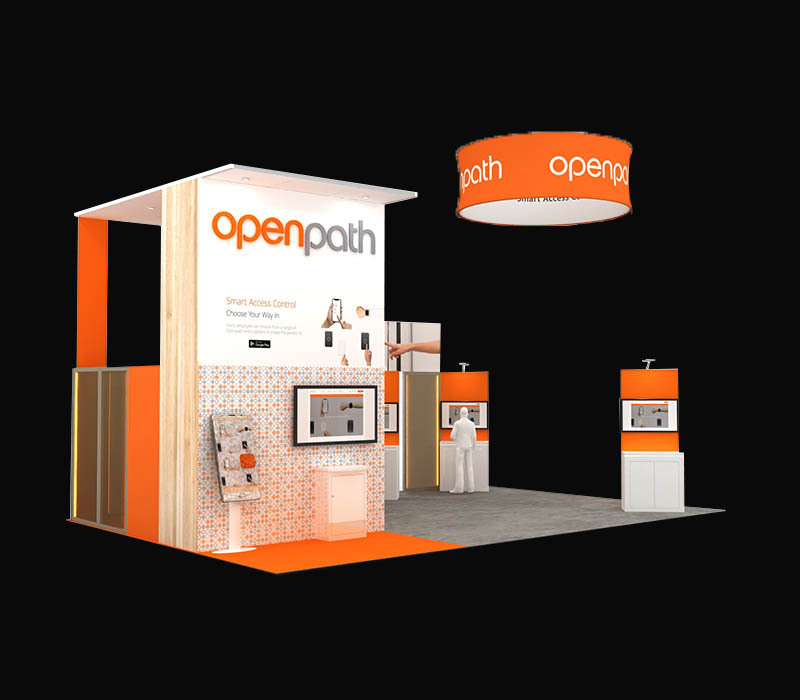 This custom island display is perfect for a trade show like GSX or any other security show. 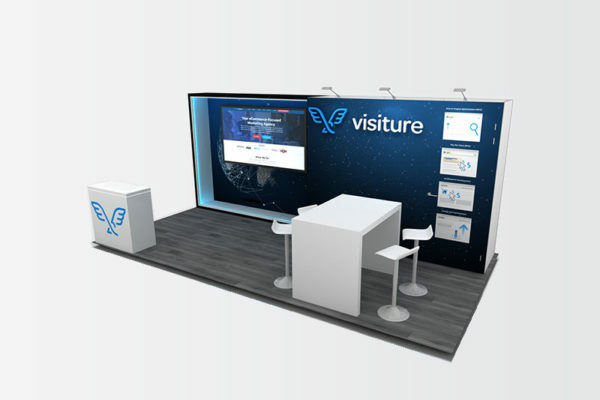 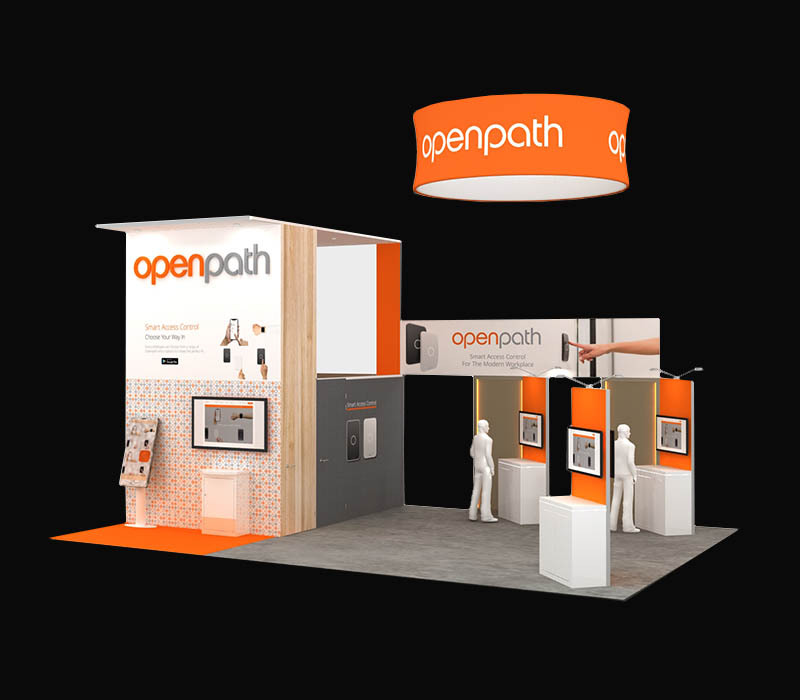 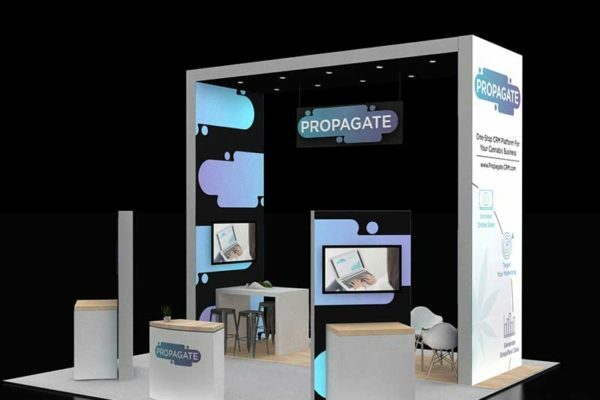 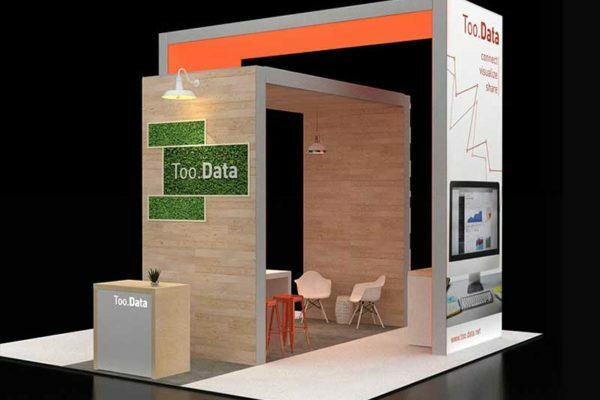 This booth includes a hanging sign which important to have for large shows to make your booth stands out. 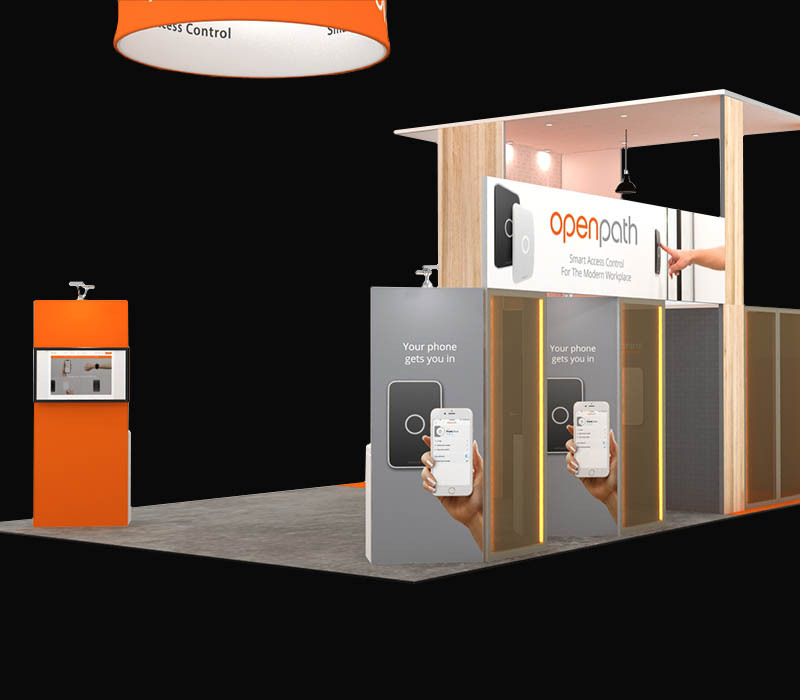 The multiple kiosk stations give your potential client plenty of room to interact with your sales team. 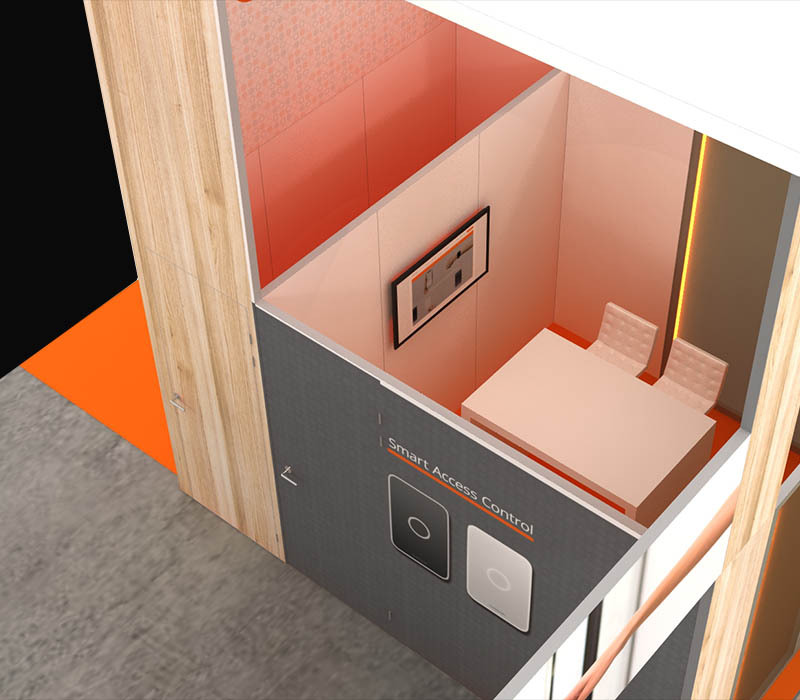 The conference room in this booth is enclosed with transparent panels, giving you a semi-private look and feel. 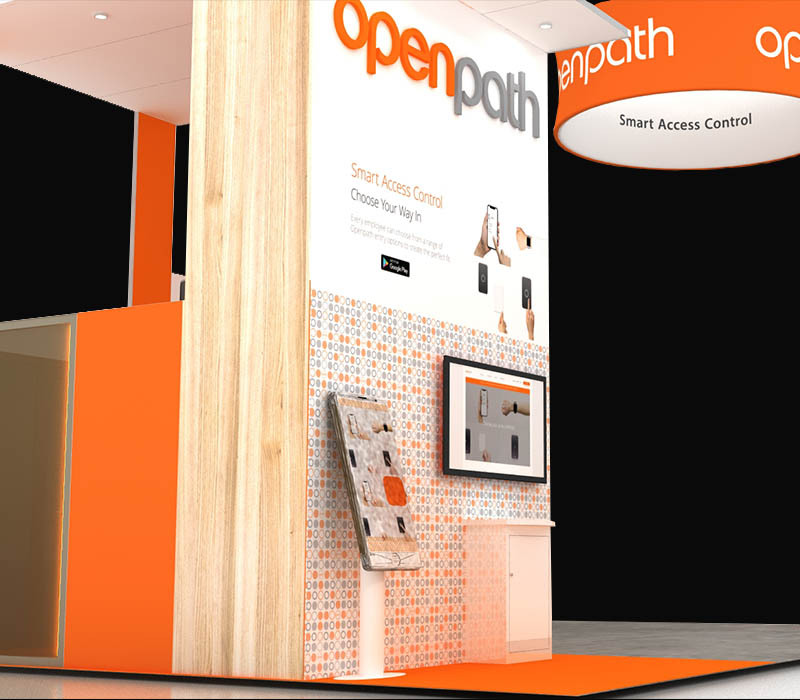 Incorporating two-tone flooring in your booth is another excellent way to stand out and provide your space with distinct areas. 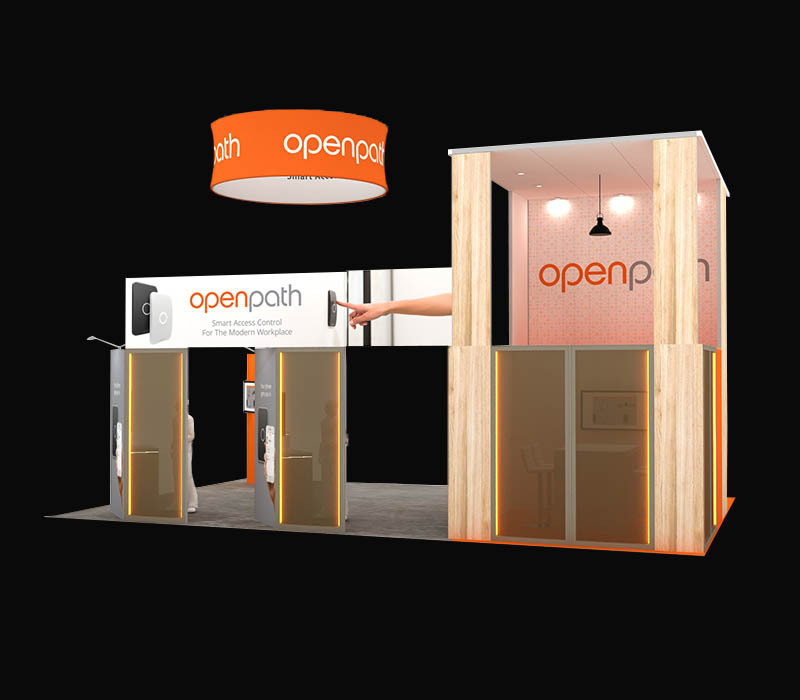 All elements in the booth can be customized like graphics, materials, and furniture.